For 15 years Projector Central has been a specialist supplier of projectors, LCD displays, electronic whiteboards and audio and video conferencing products throughout Australia. 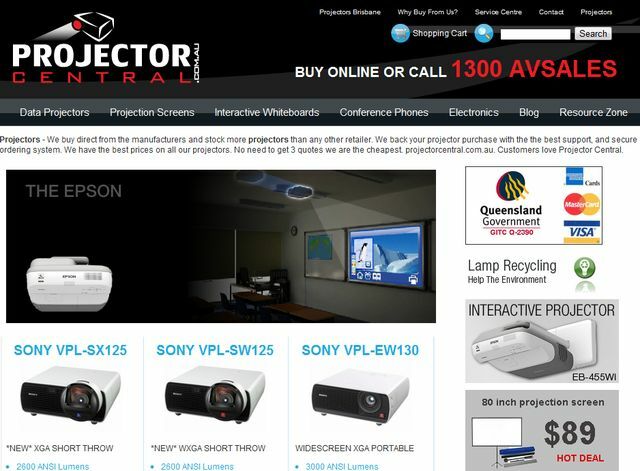 Projector Central is the online division of 'Advanced Video Integration', one of Queensland's largest audiovisual integration companies. Advanced Video Integration is also a founding member of the 'Navigate National Audiovisual Association'. Originally Projector Central was created as a marketing strategy created by Advanced Video Integration as a more relevant and memorable brand for the fast growing LCD data projector market in Australia. Fast forward 10 years and Projector Central is no longer just a marketing strategy, but a successful company in its own right. Launched in 2009 Projectorcentral.com.au carries over many years of experience to our e-commerce website. Being at the forefront of technology is what has made Projector Central as successful as it is. Our technical Experts continually receive ongoing training and are amongst some of the best in the industry. Projector Central is your gateway to successful presentation technology. We are committed to providing you with the highest level of customer satisfaction possible.